The mission of New York Edge is to help bridge the opportunity gap among underserved students by providing programs designed to improve academic performance, health and wellness, self-confidence, character and attitudes for success in life. 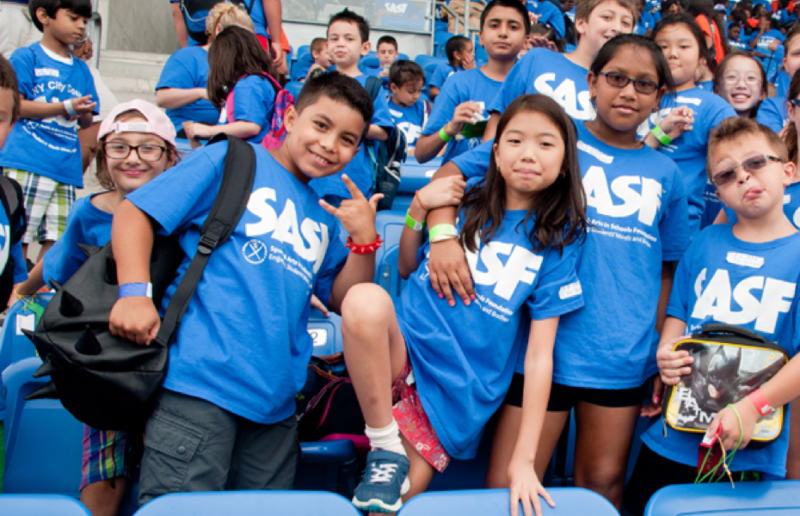 We are a non-profit organization and one of the largest providers of school-based afterschool programs in New York City and the metropolitan region. We impact more than 20,000 students from over 100 sites in grades K-12 typically in underserved neighborhoods. Programs run before or after the school day, year-round (including Saturdays, over the summer, and holiday periods). New York Edge’s Champions Club elementary school model provides children with an opportunity to learn in a small group with a 10:1 student to staff ratio. New York Edge’s Champions Club middle school model serves as a pathway to success for youth in 6th through 8th grades. Our high school programs provide support and a sense of community helping students successfully transition from middle school to high school and into college. Our College Access For All program focuses on the development of a college-going culture for 7th grade students both at school and home. The New York Edge Community Schools provide critical instructional support and academic enrichment as well as service designed to remove barriers to student learning and healthy development. New York Edge’s Department for Beacon and Community School programs works towards building a collaborative environment with each school partner, resulting in the best possible approach for the school community. New York Edge Summer Camps allow students to engage in critical thinking, problem solving, teamwork, and “21st century skills” while stimulating student creativity as they participate in a variety of fun and educational activities. Our kindergarten through 5th grade programs combine a focus on fun activities with literacy development, in a setting that emphasizes social-emotional growth. This support begins with our highly successful research-based Summer Academy that prepares students for the rigors of their high school schedule. Our High School Today, College Tomorrow (HSTCT) program follows a 4-year plan leading to the successful completion of high school. New York Edge is an approved vendor for New York City Department Of Education to provide College Access For All programming in public schools serving over 6,000 students. Our schools offer a comprehensive, integrated approach that extends hours, services, and partnerships for traditional public schools. Each Community School program is designed to support the unique needs of that school community. Open for 6 days a week (including evenings, Saturdays and holiday programming for school-age students, high school students, young adults, and adults), Beacons are school-based afterschool initiatives for K-12 students that promote positive development for all participants, families and community residents by creating a trusted neighborhood hub. Opportunities are available for all to improve skills and their personal and family well-being. Our Instructional Steering Committee comprised of New York Edge curriculum specialists with expertise in various academic disciplines (ELA, math, special education, physical education, arts, STEAM) designs New York Edge approved distinct curriculum and themes yearly. The summer camp 2019 theme is “Saving our Tomorrow,” a focus on children inheriting the planet, with proactive suggestions for protecting the earth. Campers will learn about water conservation, alternative renewable energy, and urban landscapes. New York Edge’s mission is to help bridge the academic performance gap among under-achieving students. Find out how you can help. Donate now to provide New York City public school students a pathway to academic and career success!